Email is one of the fastest growing and most important forms of communication today. Our powerful email tools let you be the Postmaster of your own domain with our simple to use email administrative management system. Receive and manage your email and Webmail at your personal computer with your choice of email software like Microsoft™ Outlook, Mac Mail or Mozilla Thunderbird as well as our browser based Webmail accessible from anywhere in the world. Domain-based email ideal for business communications. POP, IMAP & Webmail access. 3 mailboxes starting from $1.99/month! Stay up-to-date and in-touch while away from the office. Blackberry, Palm, iPhone data synchronization. 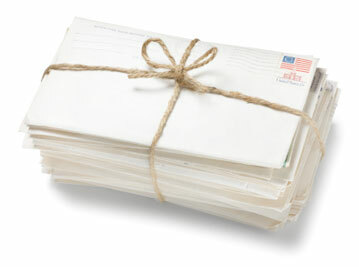 3 mailboxes starting from $6.99/month! Send and receive faxes securely from anywhere you have Internet access. Cheaper than an additional phone line. 300 faxes starting from $9.99/month! EasyMail Email from mysitespace is... a fully managed email service that offers superior reliability and features over other email systems. It can also cost a lot less than other systems (including your own) because it does not require in-house systems or support to run it. Reliable - Email operates on a clustered server environment that is both fully redundant and monitored 24X365. You won’t hear that chilling phrase “emails down!” once you are using EasyMail. mysitespace offers a 99.9% uptime guarantee that is backed by a solid Service Level Agreement (SLA). Economical - The true costs of running email in a company are higher than you may think. If you do it yourself, there are servers, software, and technical staff to pay for. If you use email from your Internet Service Provider, you may save money, but get a second-class service. The EasyMail solution makes system administration so easy, any non-technical administrator can do it. A low monthly fee gives you big company performance at small company prices.